Finding an awning that is 161 inches long and still looks good can be a challenge. But Palram rises to the occasion with the Neo 4050 Awning. This considerable covering comes in an easy do-it-yourself kit and is lightweight, durable, and decorative! 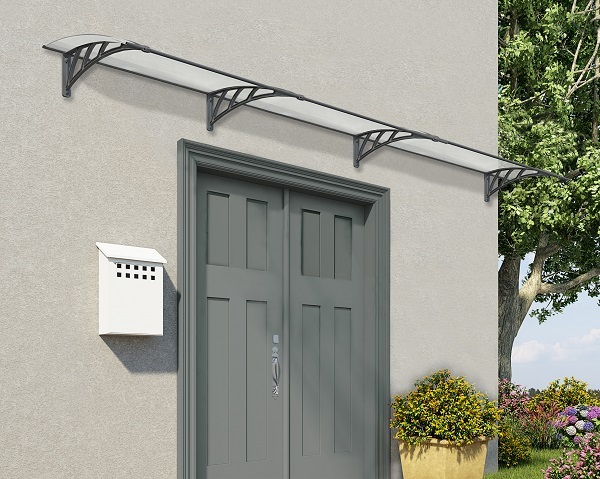 Made of high-impact polymer support arms and six-millimeter twin-wall polycarbonate roof panels, it is perfect for any doorway, entrance area, or window, blocking 100% of harmful UV rays. Palram also backs the Neo 4050 Awning with a three-year warranty and U.S. based customer support.